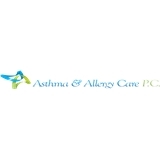 Asthma Allergy Care PC (Newark) - Book Appointment Online! We have four convenient locations in and around New Jersey (NJ) to service your needs with early and late hours. Our Physician and staff provide comprehensive evaluation and treatment plan with a personal touch. We use only the best equipment and maintain a skilled staff to answer your questions. We will always work diligently with the commitment to ensure a high level of patient satisfaction. We Hope you find the patient and practice information on this website helpful.